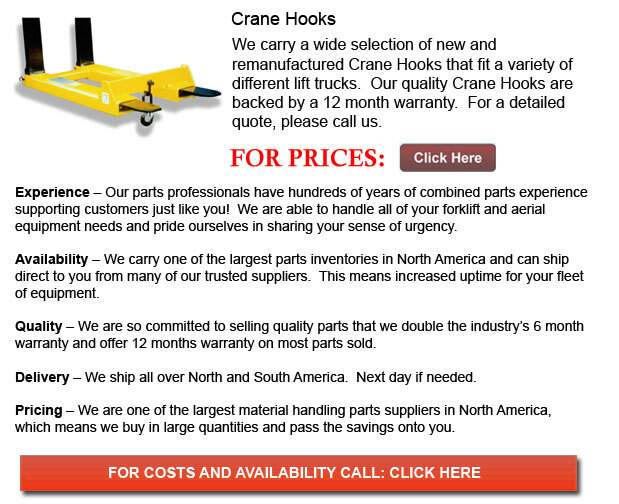 Crane Hooks - The Hoisting Hook could help change any basic lift truck into an overhead lifting hoist by using a safety chain to be able to connect it to the lift truck. In order to secure this accessory to the forklift carriage the safety chain has a snap hook which locks to the center fork openings. This Hoisting Hook unit accessory comprises a heavy duty swivel hook and safety clip.